When considering what degree to pursue, many students come across a philosophy degree and wonder what to expect when studying philosophy in the US. While in the case of most degrees it seems fairly obvious what will be studied, however most students have no idea what to expect when studying philosophy in the US. Most students, due to the fact that philosophy seems so mysterious and obscure, do not initially select philosophy as their major. Many students when first attending college do not initially select a major and choose their major after taking a series of "General Education" courses. These "Gen Ed" courses usually include History, English, Science, Math and Philosophy. It is from this required philosophy course that most colleges derive their philosophy majors. The reason for this is because most people do not know what philosophers do or what to expect when studying philosophy. It is not until their first philosophy course that students realize they have an interest in the field. International students especially may wonder what to expect when studying philosophy in the US. Due to the fact that both European and Asian nations often have a much older philosophical tradition than in the US, students in these nations are likely to have a good idea of what philosophy is coming into college, unlike their US counterparts. Even so, the US system is likely foreign to international students who want to study philosophy but don't know how US programs differ from other countries around the world. In the US, the philosophy major is usually a four-year major. Although the degree will likely take four years to finish, it is common for philosophy departments to encourage undergraduate philosophy majors to pursue a second major. 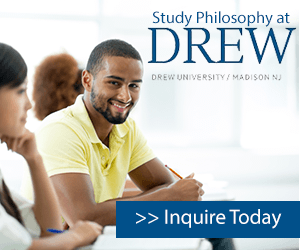 Philosophy is often an excellent degree field in which to dual major because although the courses are rigorous, the number of courses required is less than some other majors. Most philosophy majors follow the traditional US pattern of completing their general education requirements in two years, while taking very few major-focused classes, and then focusing entirely on their major requirements in the final two years. If the student does not dual major, it is likely that he or she will be required to complete a minor. Most minors in most US schools require that the student complete, with a grade of a "C" or higher, at least five upper level courses in the department offering the minor. The minor courses are alongside the courses for the student's major. It is generally wise to choose a minor that will assist the student in applying his or her philosophy degree in his or her chosen career. For example, students who seek a philosophy degree for the purposes of seeking a career in law should consider a minor in criminal justice, and students who seek the degree for teaching at the university level should consider a minor in education. Most US schools providing philosophy degrees require that the student complete a set of core philosophy classes and choose a series of electives from a large offering of various philosophy electives. Most schools will require that the student complete all major courses with a "C" or better and those courses will likely include ancient philosophy, modern philosophy, symbolic logic, metaphysics and ethics. Depending on the department's leanings, the student may be required to study a foreign language, philosophy of mind or epistemology. The school may also offer tracks in which students focus their elective choices on, like ethics, philosophy of social science, philosophy of law, or logic. What to expect when studying philosophy in the US is to do a great deal of writing. Most philosophy courses are structured so students will be required to produce at least one large paper at the end of the course. It is not unusual for the students to be required to produce both a mid-course paper and a final paper. Some philosophy courses also require that the students pass exams throughout the course. Exams in philosophy are usually comprised of a series of essay questions. Most philosophy departments require students in their final semester to complete a capstone course which focuses on a particular philosophy or philosopher, in-depth, and is often considered to be the most rigorous course offered by the department. Students do more than just write during their philosophy degree. Students are expected to participate in lively conversations in their classes since dialogue is essential to the philosopher's art. Students should expect to discuss with their professors and peers the most difficult and important questions humanity has ever conceived. For this reason, students often find philosophy courses very rewarding, as the primary focus of these courses is to come to a better understanding of everything. Students will discuss, think deeply about, read about, and write about questions concerning God's existence, the existence of the soul, the nature of free will, the process of science, the meaning of the law, the nature of language, the existence of art and morality. Classes on morality are especially well known for stirring many difficult questions and emotional discussions. Philosophy students take a number of courses in their field, one example is a course in epistemology. This term is foreign to most people, but it is actually the study of a very common set of questions, "What is knowledge?" and "How do I gain knowledge, and how do I know when I have knowledge?" Students in an epistemology course will then read the writings of major philosophers on knowledge and consider questions like, "How do I know that I am not dreaming at this moment?" It seems obvious to most students that they are awake but when they really think about it, they have no way of knowing for sure, even as they read this article. If they are in fact dreaming, then those things which they "knew" to be true, like "I am reading an article" are, in fact, false. Questions like this drive philosophy classes and lead to engaging debates. International students studying philosophy in the US should expect to be welcomed into the conversation. Philosophy is a discipline that studies the writing of philosophers from all over the world, both ancient and contemporary. Students who can read other languages and who bring in new and creative perspectives to classroom conversation are likely to excel. Professors are likely to welcome new sets of questions and insights brought to the school by international students. Most schools will offer tutoring and other assistance to students for whom English is a second language. Although international students will be expected to write, discourse and think with as much rigor and excellence as all of the other students, they will be welcomed and provided with as much assistance as necessary for their success, given the student is willing to work hard. Learn more about studying philosophy in the USA by reading our growing article collection. « Study Guide by Subject	« Study Philosophy in the U.S.
Over time we will be updating this section and including more information for those who want to study philosophy in the USA and for other countries, but please feel free to post your thoughts and comments on our Facebook fan page, and also follow us and post questions through Twitter. Visit the Study in the USA School search to find schools that offer programs of study in Philosophy.